Nollywood actor and politician, Yul Edochie has dumped the All Progressives Grand Alliance (APGA) party for the Peoples Democratic Party, PDP. 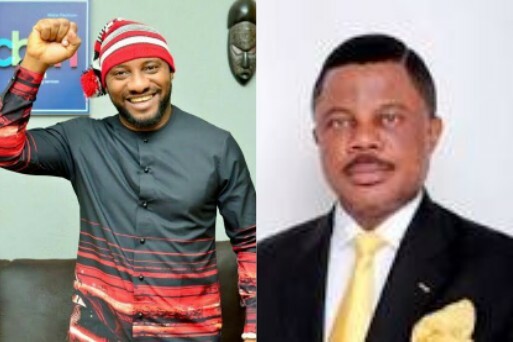 He made the announcement on Twitter, declaring his support for Atiku Abubakar in the forthcoming presidential election and also announced his resignation as the Senior Special Assistant (SSA) on creative and entertainment media to Willie Obiano, Anambra governor. Edochie said his decision to join the PDP and support the presidential ambition of Atiku Abubakar was for the sake of Nigerians. He wrote: “Today I gave up my position as SSA to Governor of Anambra and joined the PDP with tons of my supporters to give 100% support to Atiku and Peter Obi. I do this for all suffering Nigerians, I believe it will not be in vain. I believe in PDP. I thank you sir, His Excellency Chief Willie Obiano, the Executive Governor of Anambra State for giving me the opportunity to work with you, also to the First Lady of Anambra Chief Mrs Ebelechukwu Obiano. Thank you.Nigeria needs me. I also thank the Chief of Staff of Anambra State, Chief Primus Odili.Chief Chinedu Obidigwe (AkaOma) and Chief Chiejina Obieze. (Onyerikanne)”.